Non-corrosive, with minimal heat and pressure – compatible with underground infrastructure, tanks, piping, etc. RegenOx® in situ chemical oxidation (ISCO) directly oxidizes contaminants while its unique catalytic component generates a range of highly oxidizing free radicals that rapidly and effectively destroy a range of target contaminants including both petroleum hydrocarbons and chlorinated compounds. RegenOx is an injectable, two-part ISCO reagent that combines a solid sodium percarbonate based alkaline oxidant (Part A), with a liquid mixture of sodium silicates, silica gel and ferrous sulfate (Part B), resulting in a powerful contaminant destroying technology. These reactions destroy a range of contaminants and can be propagated in the presence of RegenOx for periods of up to 30 days on a single injection. 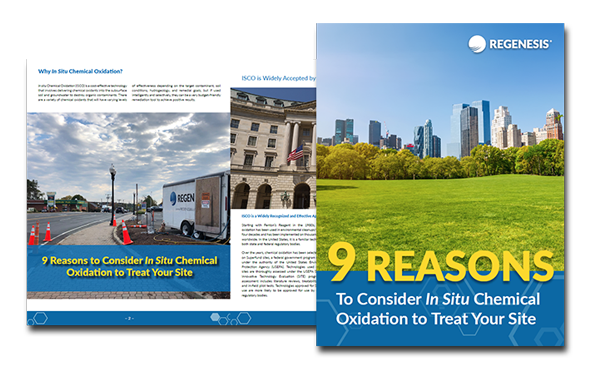 RegenOx produces minimal heat and pressure and is non-corrosive making it a relatively safe chemical oxidant that is compatible for use in direct contact with underground infrastructure such as utilities, tanks, piping communication lines, etc. 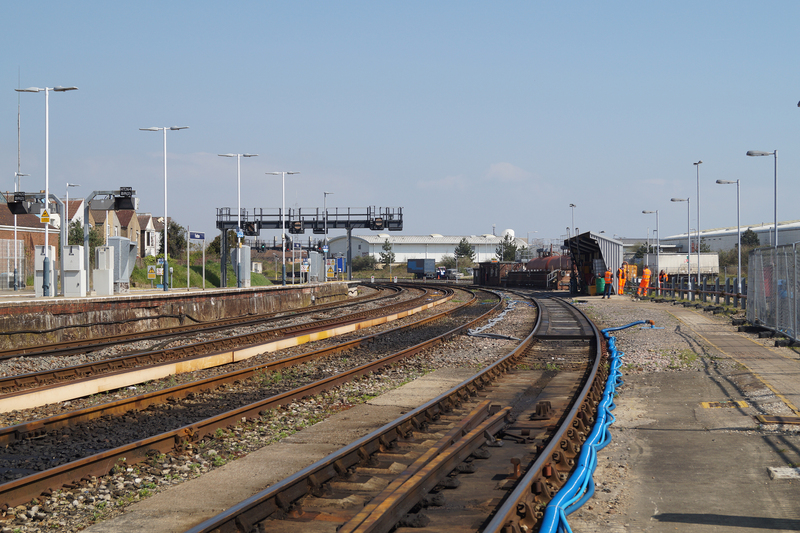 As a result the material can be applied using a wide-range of standard field equipment (e.g. direct push injection rigs) or applied directly into excavations. 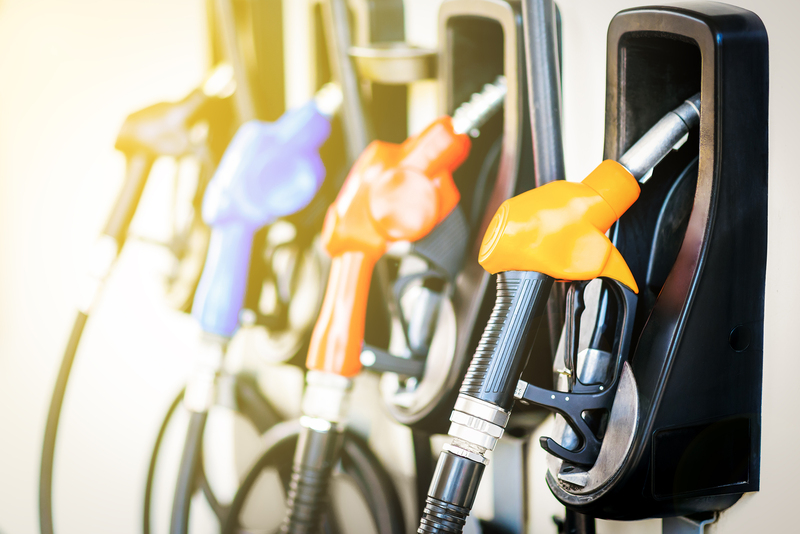 In addition to chemical destruction, RegenOx ISCO produces a significant, short-term oxygen footprint that is optimal for establishing aerobic conditions capable of supporting follow-on, aerobic biodegradation of petroleum hydrocarbons. Once aerobic conditions are in place, many remediation practitioners apply Oxygen Release Compound Advanced (ORC Advanced) with or after RegenOx to support long-term aerobic biodegradation. 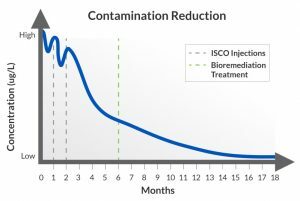 This “ISCO to bio” combined remedies approach can be highly effective at reducing a range of contaminant concentrations and associated costs. 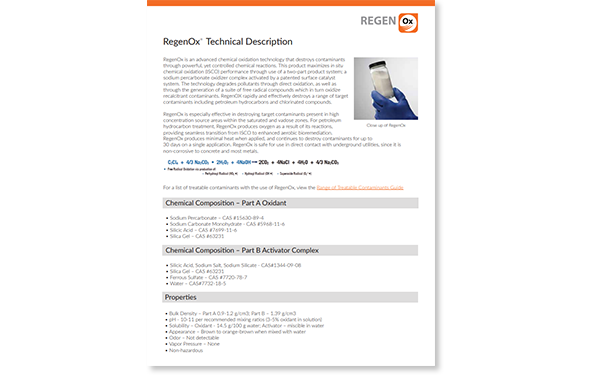 Finally, RegenOx based-reactions produce mild, detergent-like effects that desorb or remove contaminants off of soil surfaces and transfer contaminants more readily into the dissolved-phase. 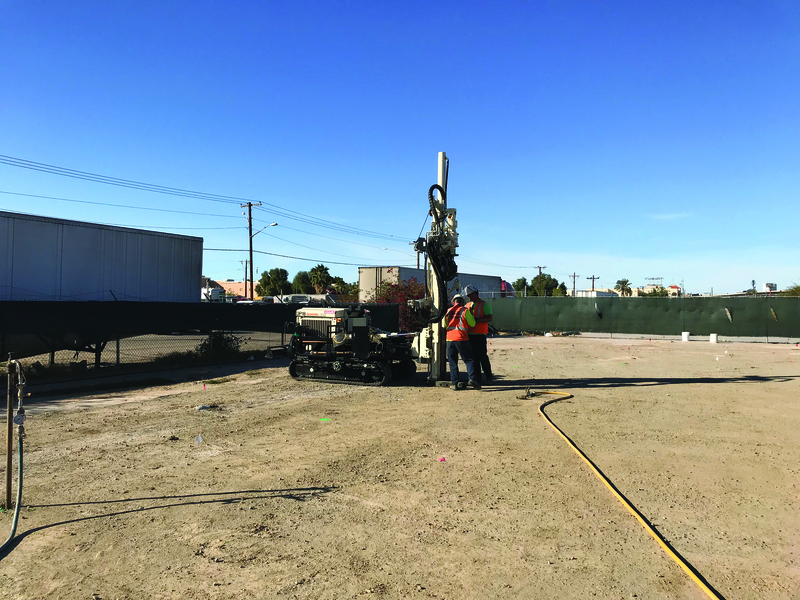 This process of removing material from soil surfaces has also been proven to be highly effective at increasing the efficiency of established, groundwater pump and treat (P&T) systems that have gone asymptotic. This desorption effect has been optimized in a specialized version of RegenOx called PetroCleanze which is designed for use in enhancing and optimizing multi-phase extraction (MPE) activities and P&T systems during site remediation.